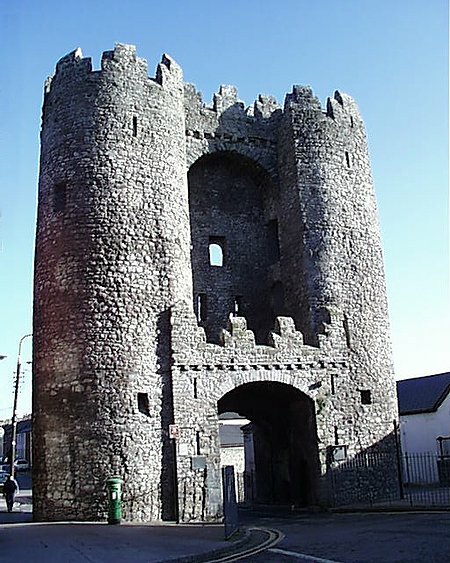 St. Laurence Gate is a well preserved example of a 13th Century Barbican. 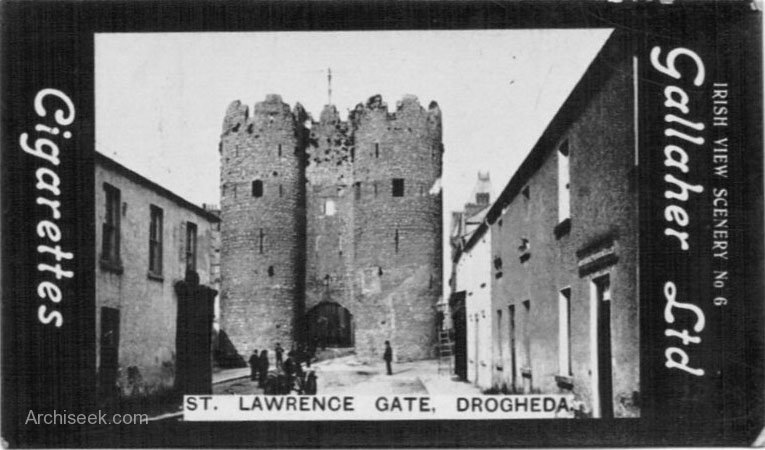 Named after the ancient priory of St. Laurence which stood outside the Gate on the site of the Cord Cemetery. 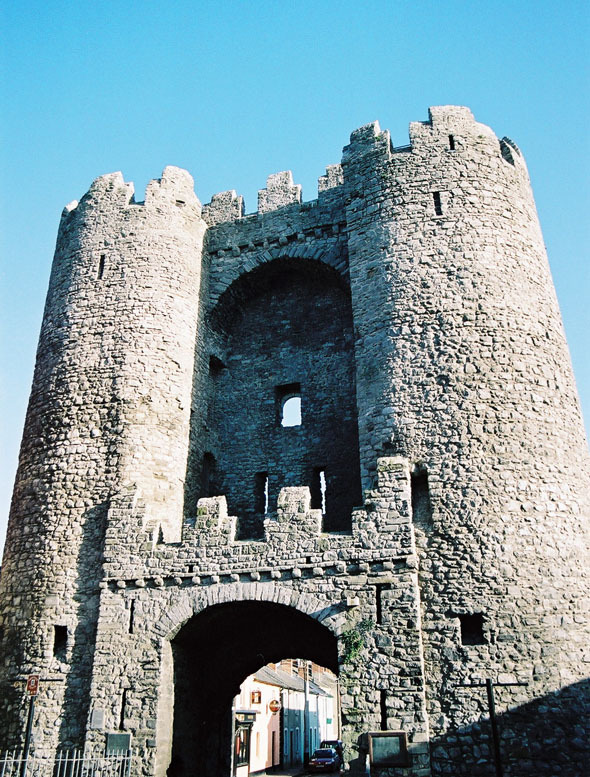 The only military action recorded at the Gate was during the siege by Phelim O’Neill in 1641 and perhaps its survival can be attributed to the fact that it was not on a main route into the town. On old maps it can be seen that the Guardhouse and Toll Booth survived into the 18th Century. On the south side of the Gate is a fine example of the old town wall with buttress and embrasure.